GATE 2020 Expected Cut-off Marks – Check Here! 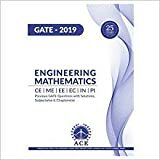 “What is the the Cut-off for Mechanical Engineering in GATE 2019 exam ? Graduate Aptitude Test in Engineering(GATE) is conducted every year in the months of January and February. This exam is conducted in order to test the knowledge of the candidates of their undergraduate engineering courses. GATE 2019 cut-off marks are the minimum qualifying marks to be scored by a candidate to become eligible for the various post-graduate programs offered by various IITs, IISc and other leading institutes across the country for the year 2019 . A candidate who wants to take admission into M Tech or PH D programmes using this GATE 2019 score card will find that GATE 2019 cut-off vary from institute to institute as it relies upon the seat intake and the number of students applying. Each participating institute will declare an individual cutoff. Indian Institute of Technology, Madras has released the GATE 2019 result on 15th March, 2019 . The GATE was held on 3, 4 and 10, 11 February, 2019. All the candidates wrote the exam may check their GATE 2019 cut-off from the table given below. Only those candidates who meet the qualifying cut-off of GATE 2019 will be considered for admissions to the various post-graduate programs that are offered by various Indian Institutes for higher education. GATE 2019 cut-off is almost same as previous years GATE examinations. The GATE 2019 Cut-off will also be distinct for the different courses. Several Private and Public Sector Undertakings that use the GATE scores for employment purposes will also declare a cut-off of its own. 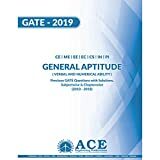 Candidates whose GATE 2019 exam paper has been conduct are willing to know the GATE 2019 cut-off marks as nowadays GATE exam conducted by GATE organizing institute in various sessions and at different-different day and/or time. Here in the below list we have provided number of candidate appeared and cut-off marks for GATE 2019 examination.